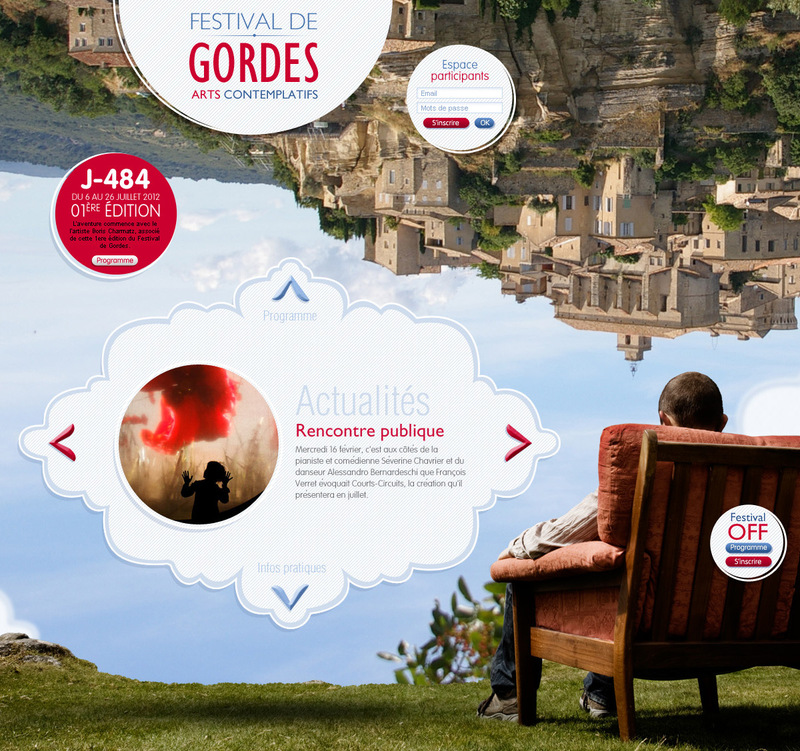 This website is a graphic and ergonomic proposition for an imaginary art festival (“Gordes Festival – Contemplative arts”) introducing two levels of information : for competitors (“On & “Off” festival) and visitors. The graphic universe is inspired by the work of Philippe Ramette. 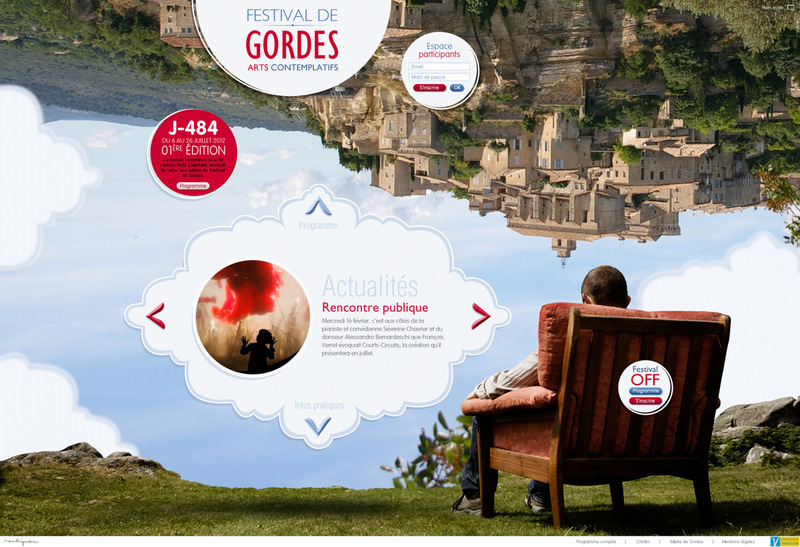 © Festival de Gordes – Graphic & ergonomic research, Francois Soulignac, 2011. This entry was posted in Digital Art Direction and tagged Digital, Festival, François Soulignac, Gordes, Graphic design, Personal research, Philippe Ramette, Web Digital Art Direction by François Soulignac. Bookmark the permalink.